Please join us for an interactive musical celebration to kick off the 1st night of Chanukah with Jeff and Paige. 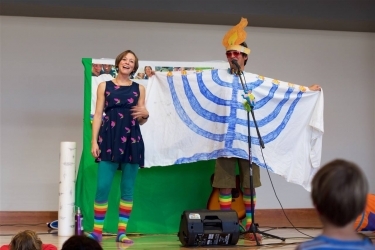 Costumes, songs, and storytelling will be incorporated to explore Chanukah and celebrate its many traditions. This is a family friendly event, all ages are welcome.